This month we illustrate the application of methods described in Barbara Star's article with two example strategies, long-only and short-only. The first one enters long when price is above the 55-period EMA and when the price bars are blue, i.e. the crossover with MACD's zero line has taken place. Additionally, you can drag the slider in the lower-left corner to activate "warnings". To highlight this trade filter, the bars are painted orange when the EMA is above the 34-period WMA and the price closes above the WMA (see Figure 1). Figure 1: Riding the bullish trend in Gold in the winter of 2016. 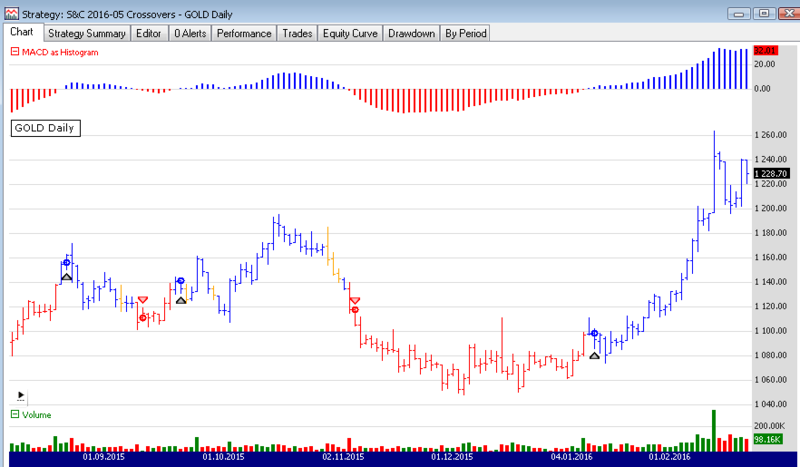 The second method attempts to profit on divergence reversals. When price moves higher but the MACD does not reflect that move, creating a lower top, the strategy fades the move as illustrated on Figure 2 and exits after a specified number of bars. 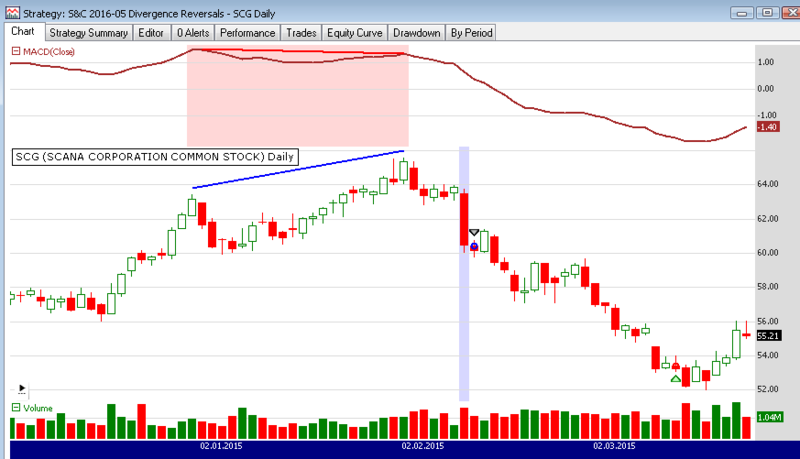 Figure 2: Shorting a price top not confirmed by a MACD bearish divergence in SCG (Scana Corp.) in February 2015.